R.O.P.A. 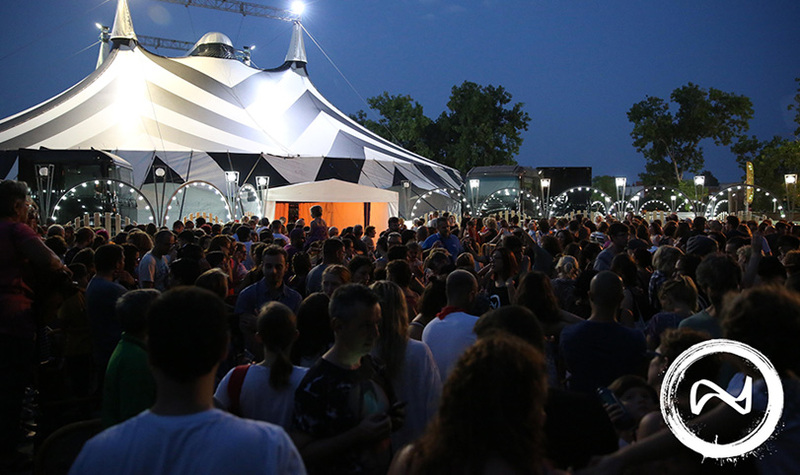 successfully completes a new edition of the Festival Deltebre Dansa with over 11,000 visitors - R.O.P.A. After 15 intensive days, the 13th edition of the Festival Deltebre Dansa ends. This is an annual artistic and cultural event, created and organised by Roberto Olivan’s Performing Arts company: R.O.P.A. – Roberto Olivan Performing Arts. From 10th to 23rd July the Festival Deltebre Dansa celebrated its 13th edition with a very positive balance. Over 11,000 visitors could enjoy a broad artistic schedule with 48 performances of national and international companies. 180 professional participants from 53 different nationalities carried out up to 15 professional workshops, whereas beginner participants could carry out 5 beginner’s workshops. Workshops were guided by 24 worldwide recognised teachers. What is the Festival Deltebre Dansa? The Festival Deltebre Dansa is a space of openness where the physical language gets another dimension. It is at the same time excellence training for professionals, workshops for beginners and a great stage with a high-quality broad performances programme of avant-garde. A unique experience which is celebrated annually in summer in Deltebre, an idyllic setting at the heart of the Ebre Delta. For whom is the Festival Deltebre Dansa? The Festival brings together in Performing Arts professionals who want to receive high-level multidisciplinary artistic training by worldwide recognised teachers. Also nonprofessional participants who want to hold the beginners’ workshops in several Performing Arts fields. And all the visitors who want to enjoy the performances programme every day during 15 days. The Festival offers every year a wide performances programme of avant-garde, from various disciplines and with national and international companies. Some of the performances that have stand out in this edition were: VIBRA, by Brodas Bros and Brincadeira; When the dogs assailed their masters, by RootlessRoot; T.B., by David Zambrano; ZERO (extract), by HumanHood;ENCAJE, by JSR Company; Testimonies (extract), by Alleyne Dance; Je te haime, by HURyCAN; Dialog, by Seb et Blanca; All these places have their moments, by La Otra Familia; Ubuntu, by SEAD – BODHI PROJECT; INVISIBLE WIRES, by LaMacana;All genius all idiot, by Svalbard Company, and Baile flamenco by Claudia “La Debla”, among many others. And of course, the Festival’s unmissable nights: the Alternative Spaces Night and The Solidarity & Circus Night. Regarding the training offer in this edition, it should be noted the participation of Akram Khan who, together with Yen-Ching Lin, carried out the monographic workshop for professional participants. This workshop was launched with the Belgian choreographer and film-maker Wim Vandekeybus in the Festival’s last edition. Likewise, the teachers in this edition were: Linda Kapetanea & Jozef Frucek (RootlessRoot), David Zambrano, Milan Herich, Francisco Córdova, Laura Aris, Lali Ayguadé, Rakesh Sukesh, Anton Lachky, Marta Coronado, Judith Sánchez, Kristina & Sadé Alleyne, Shai Faran, Erick Jiménez, Peter Jasko, Narendra Patil, Marion Sparber, Marijo Alonso, Aina Lanas, Julien Rossin and Juan Eduardo López. During 15 days, the Festival Deltebre Dansa becomes a platform for Performing Arts professionals. Therefore, the Festival creates real connexions among the different players involved in this field, such as producers, choreographers and performers. Over 11,000 spectators and 180 participants not only visited the Festival, but also spent in the local shops for 15 days. Every year, the arrival of the Festival brings with it the strengthening of the local economy and sustainable cultural tourism.